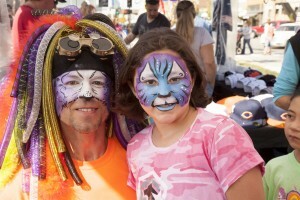 Recognized as Illinois biggest “Toddler Friendly” festival, the Ottawa Annual Scarecrow Fest has something to offer every member of the family! From face painting to GIANT BOUNCY HOUSES, this day long fest is designed to go easy on the family wallet too. Enjoy Ottawa’s largest vendor fair with booths lining the street in downtown Old Town. Put this one on the calendar for the kids!